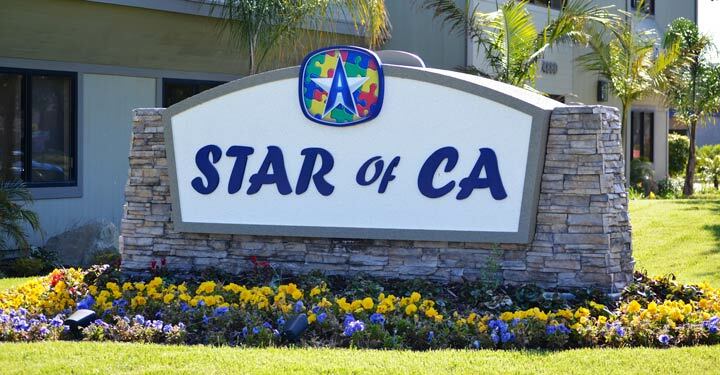 Star of California is an applied behavior analysis service provider for autistic and special needs children in Ventura. They recently moved to a new, permanent location, and set to work on revamping the exterior of the building, including the landscaping. This revamp included building a new sign to announce the new location and establish their business identity. The sign they had at their old location was poorly located. Passing traffic didn’t see it, which made it difficult to find the office. So there were two main goals for the new sign: definite street visibility and an upgraded image. The resulting decision was a large ground monument sign, placed on the front lawn of the property, just off the street. The logo for the business is a bit of an awkward shape, so it took a bit of creativity to determine how to best balance the existing features of the business identity while also upgrading its image. Using a stone base and columns, we were able to give space between the title of the organization and the logo, framing the content in a tasteful way. 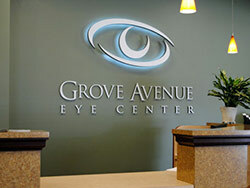 Because this was a ground sign, it needed to be elevated to ensure maximum visibility. This involved a certain amount of hardscaping, so we worked with the client’s landscaper to create a grass mound to place the monument above. Once the sign was fully installed, we then worked with the landscaper to complete the landscaping with plotted flowers that compliment the logo. The result is a uniquely-shaped, well-framed, multi-dimensional sign that stands out against the less interesting signs in the vicinity.